Additionally, the University of Colorado, Anschutz has been moving forward with research largely as a consequence of support from the local government. In November, the Colorado Department of Public Health and Environment awarded a total of $2.7 million to the University of Colorado, Anschutz for two studies involving cannabis and cannabidiol. This amount is in addition to the $11.35 million already set aside to fund medical marijuana research by the state of Colorado. Much of this funding is driven by two things: the desire to find a way to safely prescribe medical marijuana to autism patients and the desire to regain control of the opioid crisis by considering medical marijuana as a replacement for opioid pain relief medications. Cannabidiol has already suggested to be helpful to epilepsy patients, when last year the FDA approved a plant-derived Cannabinoid Medicine for the first time, EPIDIOLEX. The drug is now available by physician prescription for patients two years of age or older as a new treatment for two difficult forms of childhood-onset epilepsy, Dravet and Lennox-Gastaut syndrome. 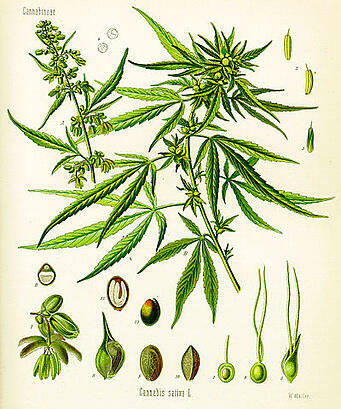 The drug is the first of its kind and significantly reduced the frequency of both drop and convulsive seizures. Many universities across the country are taking part in the cannabis revolution. The University of Pittsburg, Thomas Jefferson University, The University of California Los Angeles, and The University of California Berkeley are all conducting medical marijuana research (see our blog on CBD research at UC Berkeley). This year, Biotechnology Calendar Inc is hosting BioResearch Product FaireTM events at each of these university campuses. 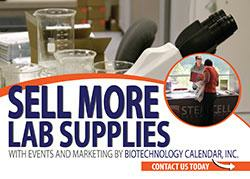 If you are a laboratory supplier, consider booking booth space at these events. Attending these laboratory supply vendor shows affords you the opportunity to showcase your innovative products and help these researchers achieve their groundbreaking research goals. Call us today at (530) 272-6675 to reserve your space at one of these shows.